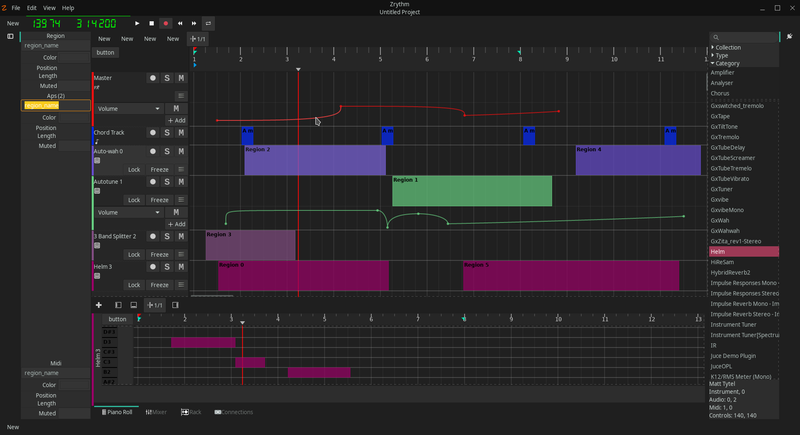 Zrythm is a free, modern music production system, also known as a DAW, focusing on electronic music. 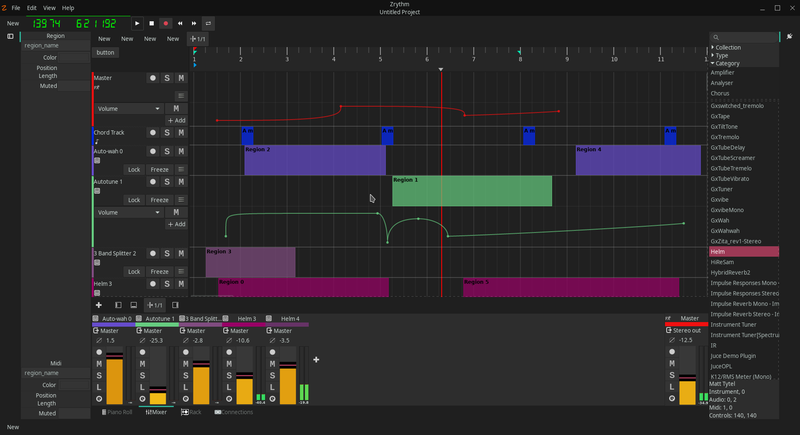 Zrythm is built using C and the GTK+3 toolkit and borrows ideas, concepts and code from other projects such as Ardour, Jalv, Bitwig and Cubase. It is built with the intention to provide GNU/Linux users a full-featured alternative to proprietary DAWs and offers a unique approach to workflow that other GNU/Linux DAWs lack. Zrythm is free software licensed under the GPLv3+. This entry (in part or in whole) was last reviewed on 1 February 2019. "Developers" is not in the list (General, Help, Bug Tracking, Support, Developer) of allowed values for the "Resource audience" property. "Testers" is not in the list (General, Help, Bug Tracking, Support, Developer) of allowed values for the "Resource audience" property. "Users" is not in the list (General, Help, Bug Tracking, Support, Developer) of allowed values for the "Resource audience" property. "Arch users" is not in the list (General, Help, Bug Tracking, Support, Developer) of allowed values for the "Resource audience" property. "Fedora users" is not in the list (General, Help, Bug Tracking, Support, Developer) of allowed values for the "Resource audience" property.